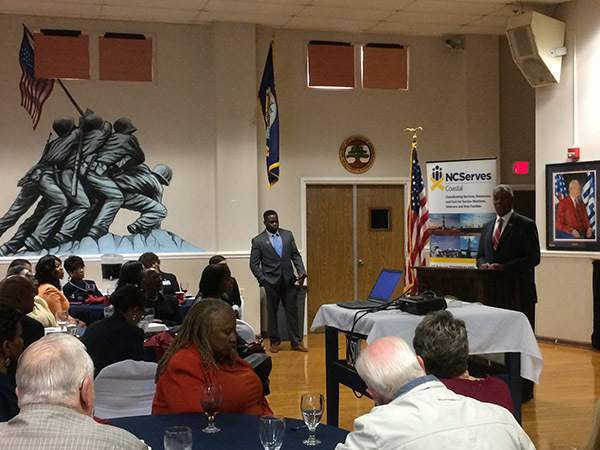 Standing room only at the USO of North Carolina in Jacksonville as NC Department of Military and Veterans Affairs Secretary, Cornell Wilson, Maj. Gen. USMC Ret., formally launches the NCServes Coastal coordinated care network with over 100 local service providers and veterans. 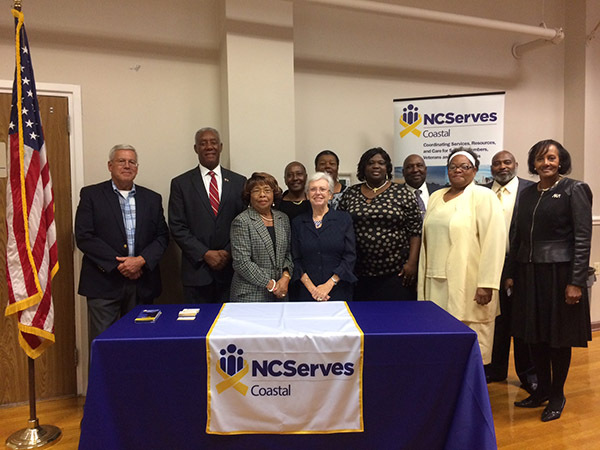 NCServes Coastal is our 7th America Serves collaborative community to date and is the 4th in the Carolinas. 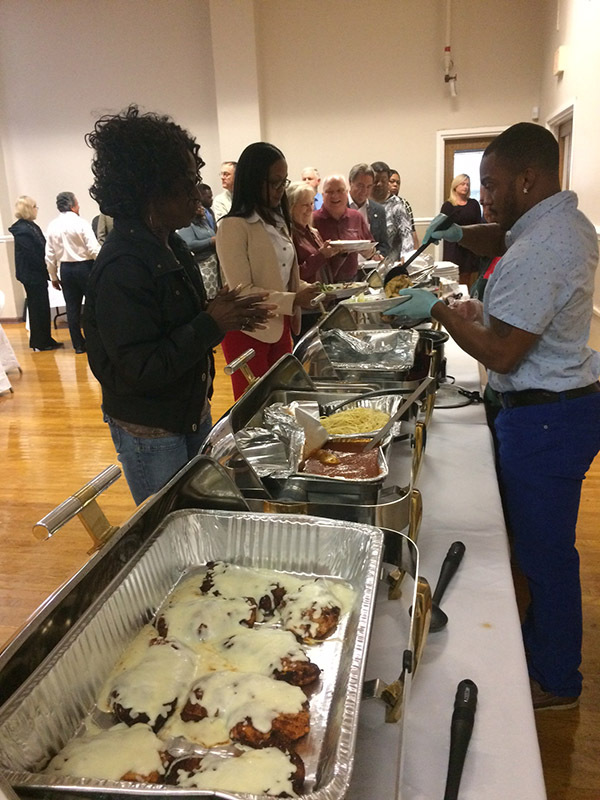 Daphany Hill, ECHSA executive director, starts the celebration and gives thanks to the participants. 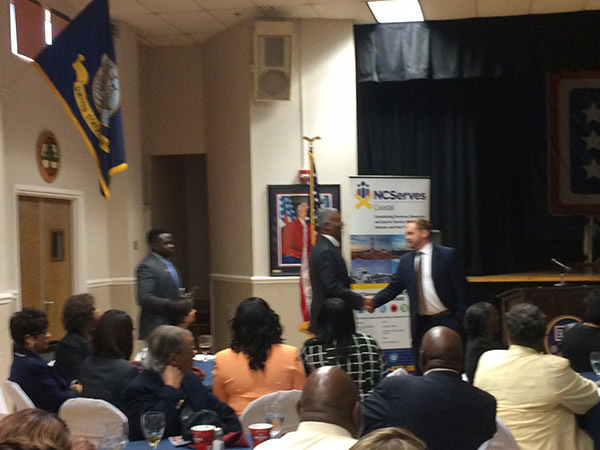 Dave from O2O introduces Secretary Wilson. 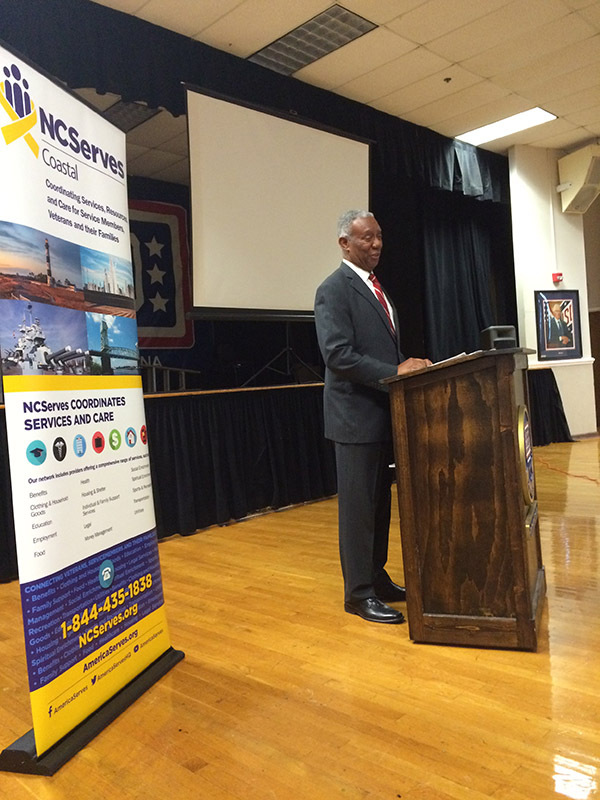 Secretary Cornell Wilson, the events keynote speaker, addresses the crowd. Rick Welton addressing the crowd, the key driver of this initiative within the local community. 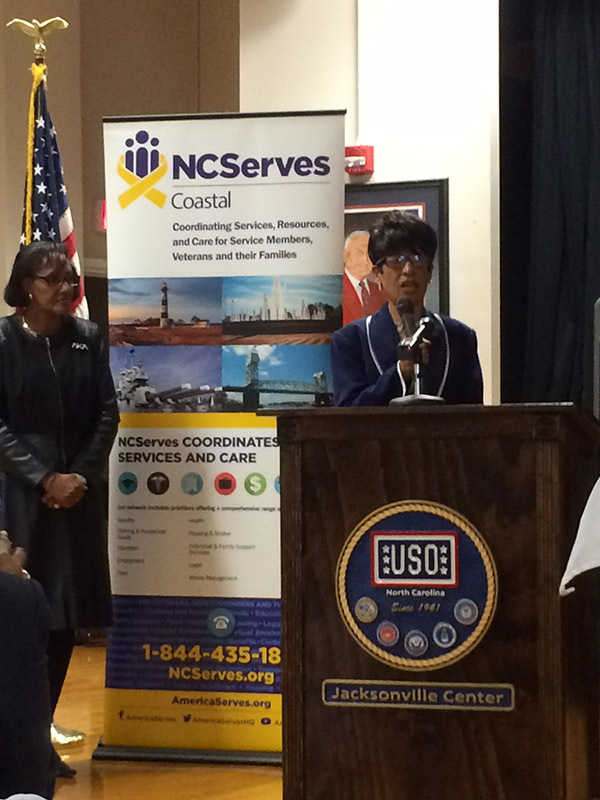 Kelli Willoughby and Holly Coffer from the USO address the crowd. 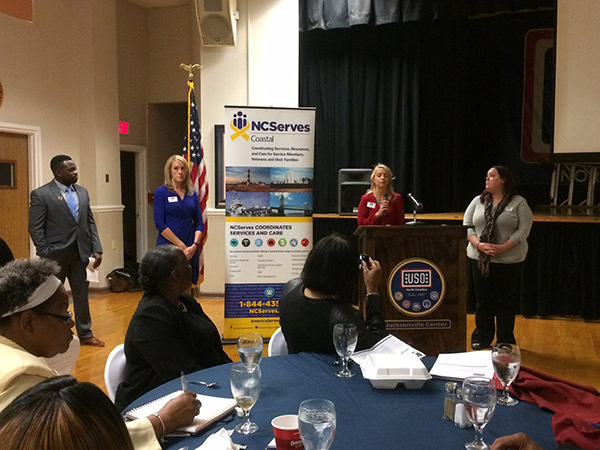 Jen DeLucia addressing the group, giving a high level perspective of AmericaServes. 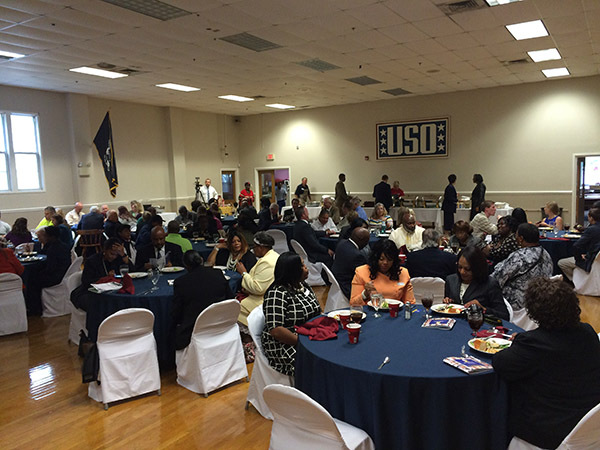 Thanks to the USO for providing a delicious lunch! 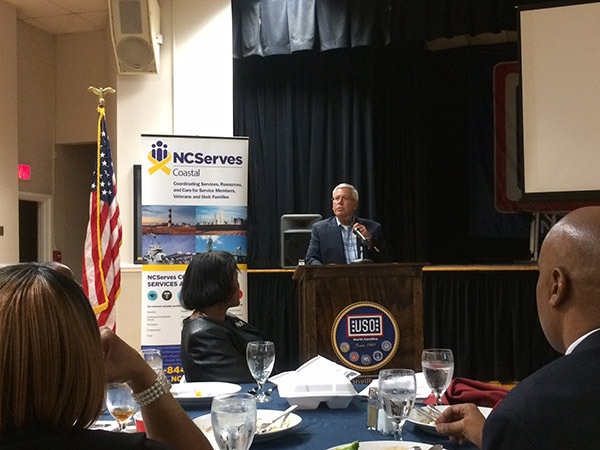 Jerrick, from the NCServes Coastal team was emcee of the event and did a great job. A panoramic of the room. 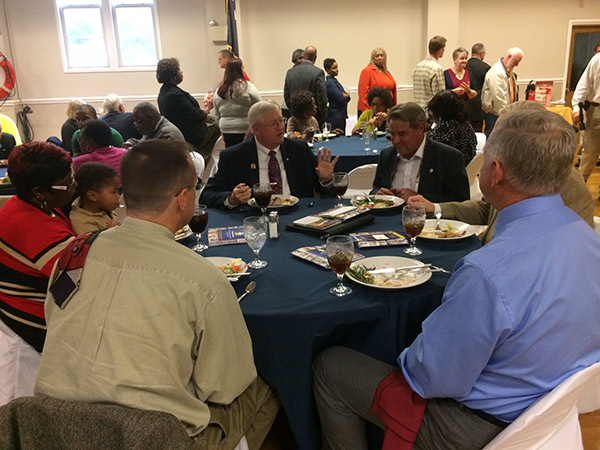 Participants and community members eating together and discussing the program. ECHSA board with Secretary Wilson and Rick Welton MD. 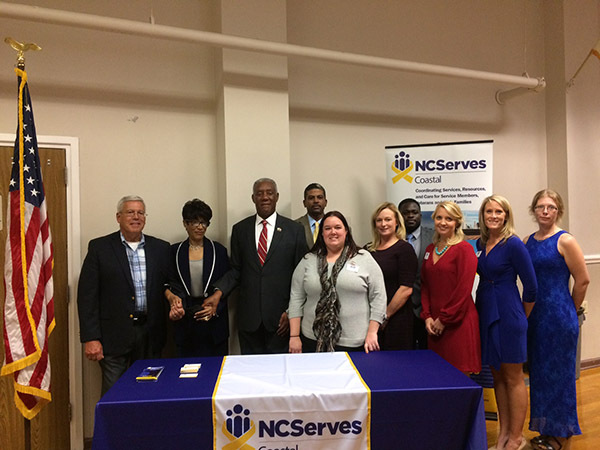 Secretary Wilson poses with all of the key members of the new NCServes Coastal team, ECHSA team and the USO team with Rick Welton, local community leader.